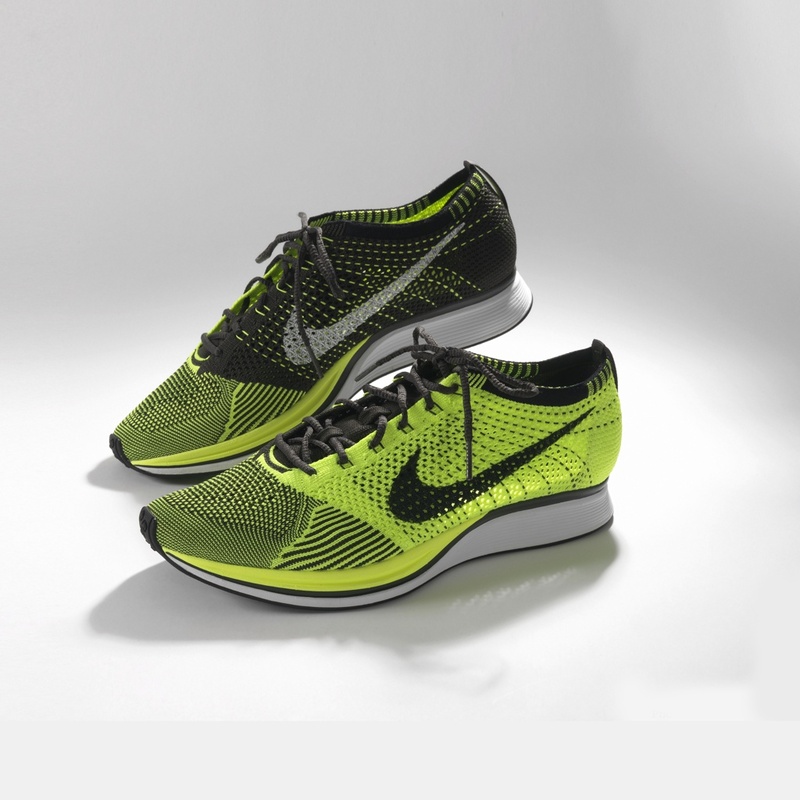 Nike’s high performance running shoe, Flyknit Racer, uses advanced knitting technology and only the most essential materials to create an ultra-light racing shoe. Nike’s design team precisely engineered the specific yarns and knitted structures of the sock-like upper to provide the ultimate in support, flexibility and breathability, while reducing the weight to a remarkable 5.6 ounces — 19% lighter than a previous Nike shoe worn by marathoners at the 2011 World Championships. Flyknit Racers were worn by Olympic marathoners from Kenya, Great Britain, Russia, and the United States at the 2012 Summer Olympic Games. For the Games, Nike used Volt, a signature florescent green color, for its footwear across events, venues, and nations. Strikingly visible on the red track—and the medals stand—the eye-catching shoes created a media and fashion sensation.